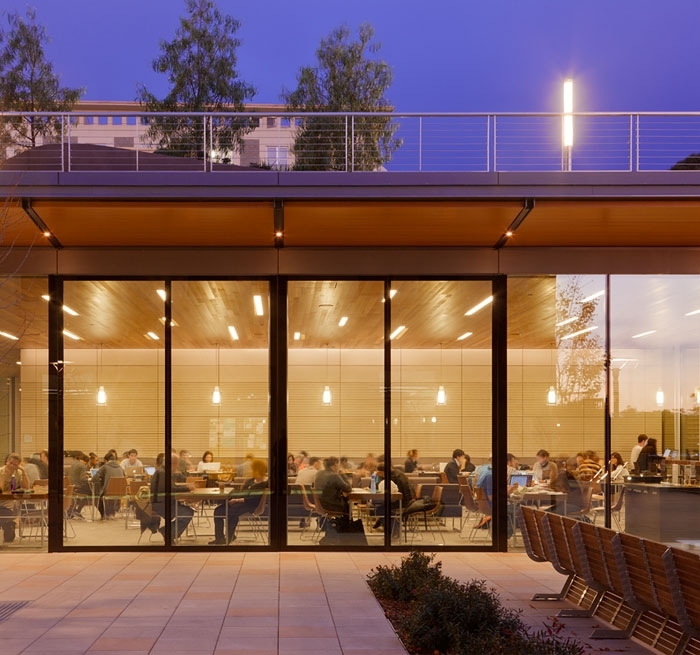 A stunning new building addition with a dramatic transparent four-story staircase at its center is deftly inserted into the courtyard of the existing University of California, Berkeley, School of Law. 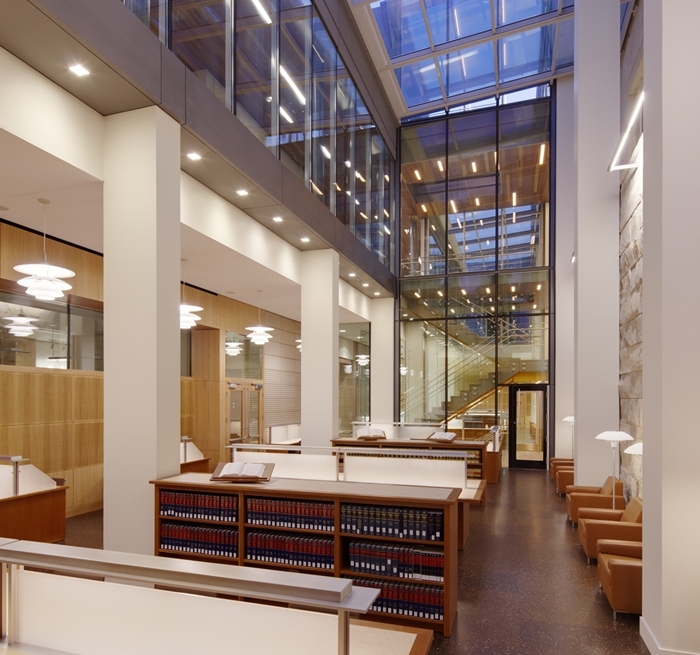 Auerbach Glasow provided architectural lighting design for the site, cafe, lounge, reading rooms, library stacks, lecture hall, classrooms and circulation areas. 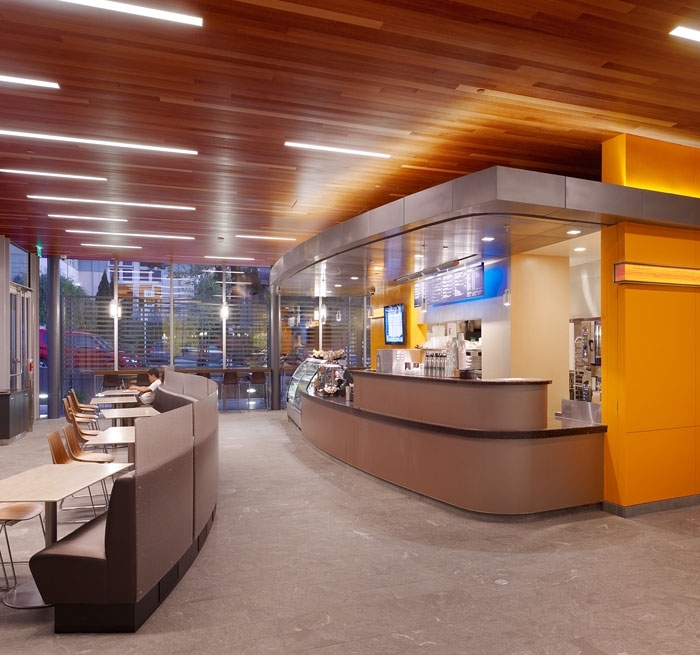 Intelligent architectural lighting controls combined with leading-edge technology and a seamless integration of lighting and architecture were applied to the project. The approach to legal education has changed dramatically over the years and a shift from large lecture halls to more intimate formal as well as casual learning environments has occurred. 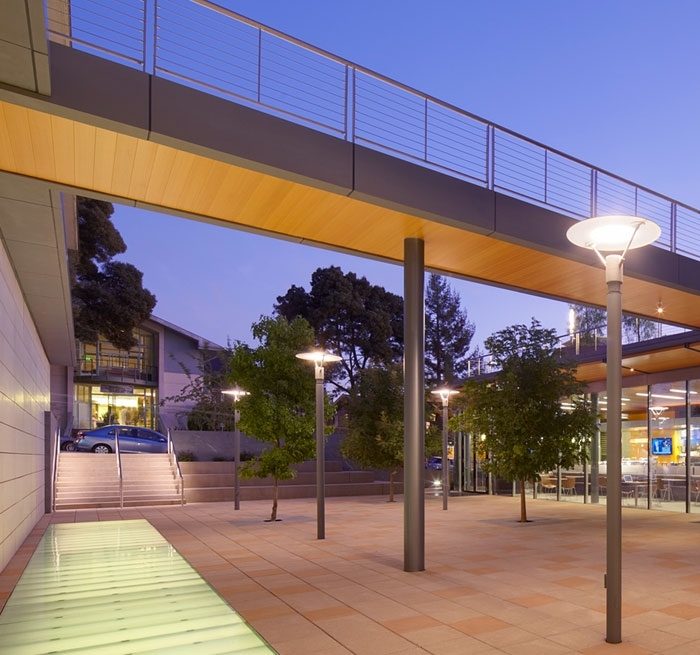 The new infill building and the remodel of the existing Boalt Hall accommodates the growth of the law school and creates a more dynamic learning environment. The School of Law South Addition is LEED Gold.